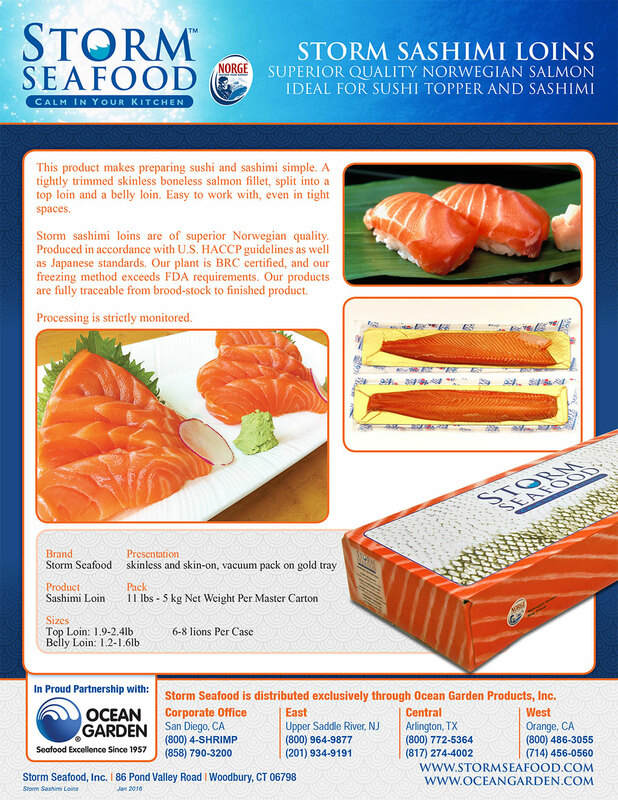 Our main products are Norwegian Salmon Portions 4-10 oz, Sashimi Loins, Smoked Salmon and Trim-E and D-Fillets. 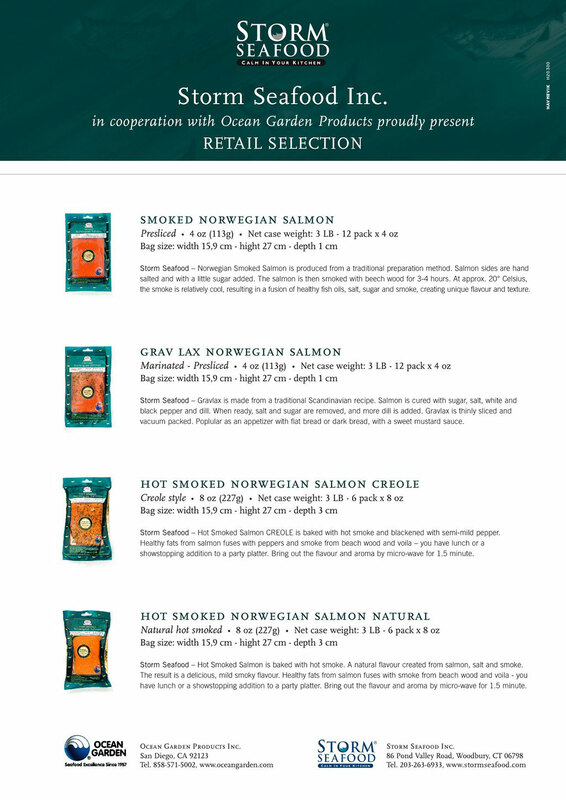 We also offer Norwegian frozen cod portions. 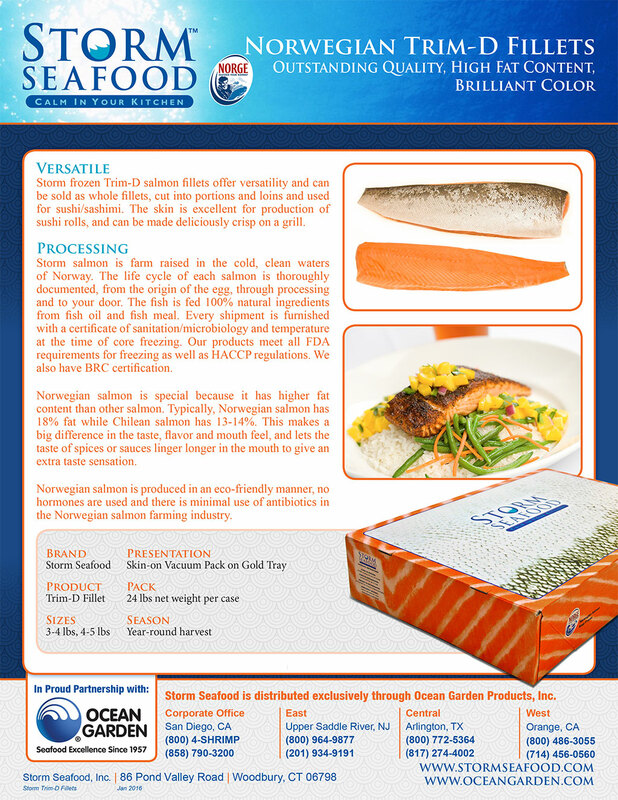 All products are of superior quality and well recognized in the US market.